I have downloaded free trial version to test Integration with Google Chart. 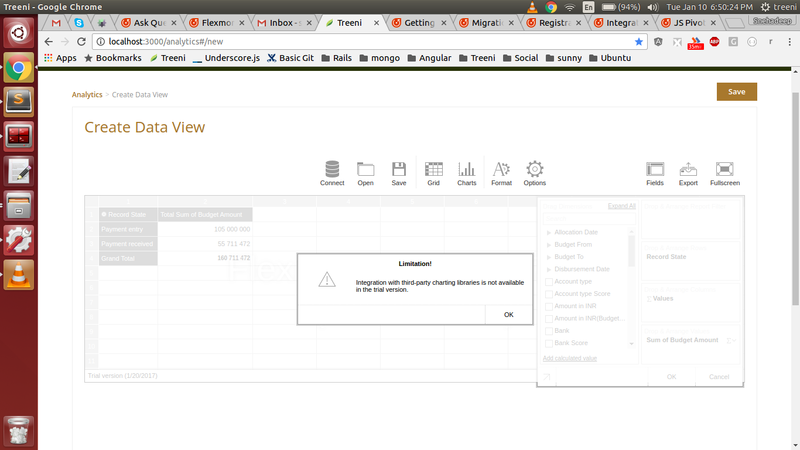 But I am getting Error (Limitation) as, Integration with third-party charting libraries is not available in the trial version. How can I achieve Integration with third-party charting libraries using FREE TRIAL??? The integration with third-party charting libraries is available in the component with the development license key or with the production license key. Please use your license keys to test the integration with Google Charts. For those who are not our customers, the special trial key should be requested via Contact Us form.